The Convention on Environmental Impact Assessment in a Transboundary Context is named ESPOO after the town in Finland where the Convention was adopted in 1991. It came into force in 1997. It applies environmental impact assessment, a widely adopted legal principle and procedure, to projects that may have transboundary impacts. It requires States to notify and consult with other States on projects that are likely to have significant adverse environmental impacts across national boundaries. The Convention includes an Implementation Committee that oversees compliance with the Convention by its parties. An example of the work of the Committee, and the Convention, is found in the recent case where an Irish group, Friends of the Irish Environment, as well as other parties, filed submissions that the United Kingdom had failed to comply with its obligations under the Convention with respect to the proposed activities at Hinkley Point Nuclear Power station. The parties argued that Ireland had not been notified and the Irish public had not been consulted on the activity. After considering all the submissions by the UK and the other parties, the Implementation Committee concluded, in April 2016, that the UK had failed to meet its obligations under the Espoo Convention to discuss the possibility of an accident at Hinkley Point on neighboring countries. 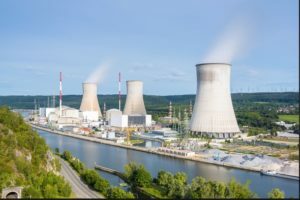 Recently the Committee took the additional step to indicate that the UK should consider refraining from further works on the site of the new reactors until a transboundary environmental impact assessment has been conducted. Find out what the UK has done, if anything, in response to the Committee’s indication that work on Hinkley Point should be suspended until a transboundary EIA is done. What has been the position of the Irish government(s) regarding Hinkley Point and the claims by Friends of the Irish Environment? Is ESPOO applicable to the construction of overhead cross-border power lines between Ireland and Northern Ireland? If so, why. If not, why? See video Interview with Dr. Andrew Jackson, Assistant Professor, UCD Sutherland School of Law, in Podcast section of current issue (1 Sept 2017) of irish environment magazine on litigation over the Hinkley Point nuclear power station.